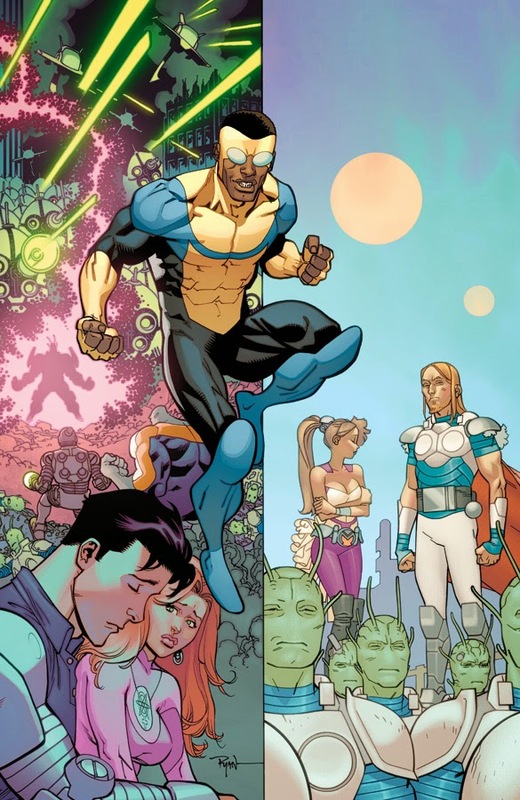 Megalex: The Complete Story (Humanoids), by Alejandro Jodorowsky and Fred Beltran, takes us to a world where the rich literally bathe in the blood of the hoi polloi, the clones who gather for their appointment with death at the age of forty. The children left behind are told to watch out for the magical food parcels that fall from the sky. The ruling family are an ancient wizened magican, his sorceress wife, and their vampire daughter. Only two parts of the world escape their dominion: the haunted forest and the deadly sea. This bizarre world is of course ripe for disruption, and it comes in the gangly form of an overgrown clone soldier who escapes his routine termination and meets up with an improbably and presumably uncomfortably buxom member of the revolution. She’ll take him to their leader, get him trained up, and maybe even give him a nice cuddle if he’s a good boy. The writer is Alexandro Jodorowsky, and it’s as wild and woolly as anyone who has read The Incal or The Metabarons would expect. 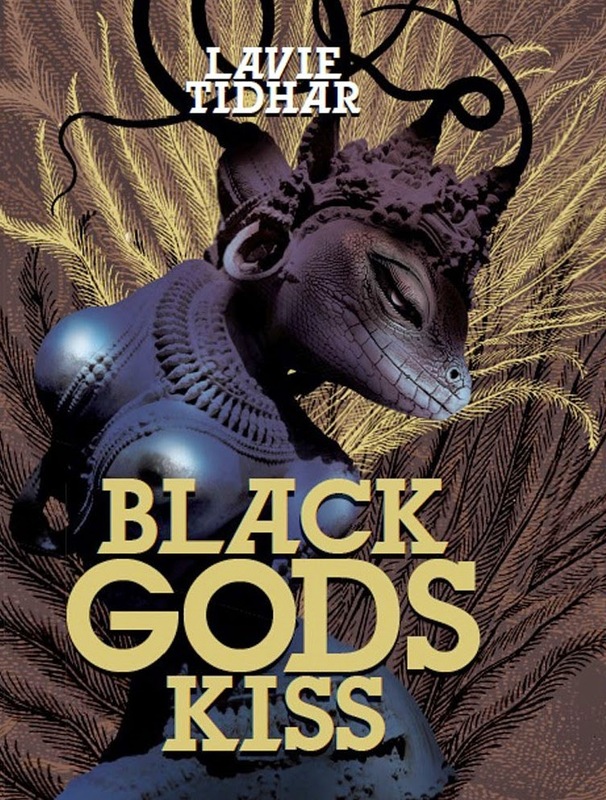 His work for French publishers is much more mystical than we’re used to seeing in science fiction, his science fiction following the logic of dreams instead of the rules of physics. This collects all three volumes of the story, a fairly short run for a French graphic novel series, and there is definitely a sense of things being wrapped up swiftly in the latter third. 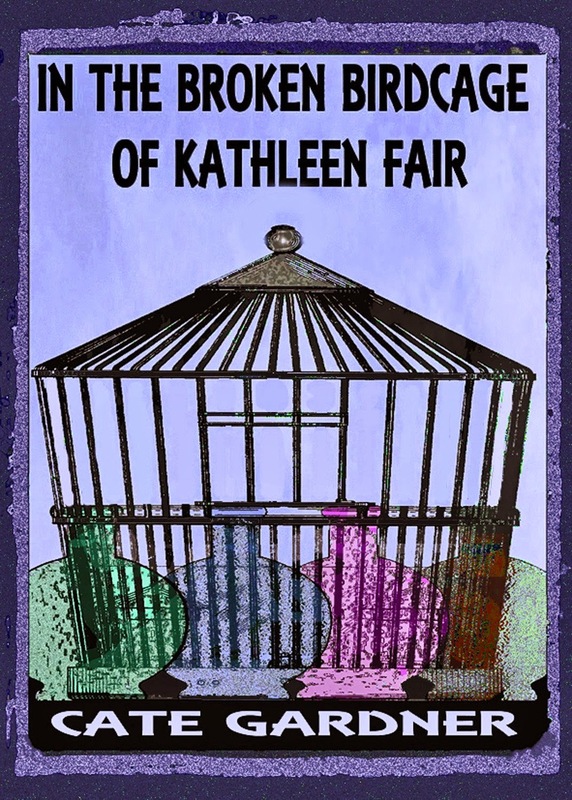 Now available for pre-order, the first ebook novella from Theaker's Paperback Library. It's a reprint of Walt Brunston's Space University Trent: Hyperparasite, his adaptation of the classic (but rarely seen) television episode, which first appeared in TQF13. It'll be out on April 30. In this short novella Mack Hardiman leads the spacefaring university's investigation into a lost colony on the world Adontis. 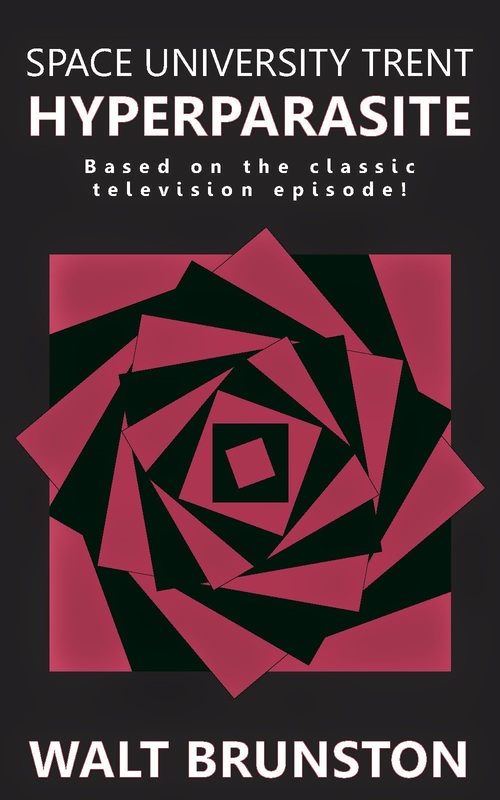 The ebook also includes an introduction to this much-loved show and, for reference, a complete list of its episodes. It's Kindle-only for the time being. Just 99p in the UK. Scientist dies, comes back to life, goes on killing spree. What’s not to like? Ever since Dr. Frankenstein stitched together his monster, people have been fascinated with laboratory experiments on humans… especially when it comes to what could go wrong. The Lazarus Effect, Hollywood’s latest foray into terror via test tube, explores the repercussions of chemical-based human resurrection. Director David Gelb mixes horror, thriller, and sci-fi elements in a film that, though not staggeringly original, holds up as an elixir for the horror devotee. Zoe (Olivia Wilde), her too-busy-to-marry beau Frank (Mark Duplass), and science geeks Clay and Niko (Evan Peters and Donald Glover) have spent four years tucked away in a university lab. Their research started with a way to temporarily prolong life, but then evolved – maybe devolved is a better word – into the “Lazarus Serum”. The group first resurrects a dog, but this lab dog is no lap dog. Rocky’s erratic behavior and supercharged brain indicate the Lazarus Serum might be more than what it’s stirred up to be. A third of the way through the film, a corporation maneuvers a hostile takeover of the research and the lab. The infuriated quartet and videographer Eva sneak into the lab to solidify their claim on first to raise the dead. However, when Zoe flips the power switch, she gets electrocuted and dies. Frank convinces his colleagues to inject the Lazarus Serum into her brain. Not a well-reasoned decision. Zoe isn’t quite Zoe anymore. The serum has kicked her brain into hyperdrive. As her nightmares of a girl in a burning corridor grow more vivid, Zoe develops a collection of powers straight from the Stephen King compendium: pyrokinesis, telepathy, telekinesis, and precognition, to name a few. Of course all these psychic gifts come with a loss of sanity. Zoe struggles with whether the colleagues she’s locked in the lab want to help her or put her down. Wilde and Duplass head up a cast of characters whose moderate personalities seem consistent with what one would find in a lab. This lack of eccentricity means more focus on the action. The most energetic scientist is Clay, played by Evan Peters of American Horror Story fame. Peters offers a performance reminiscent of (but by no means as outrageous as) a young Philip Seymour Hoffman’s Dusty Davis in Twister. Another notable strength of this film is its soundtrack. It starts with the American Horror Story-like opening credits: creepy music accompanies extreme close-ups of threatening-looking elements slithering and coalescing. On several occasions, the viewer is treated to Mozart’s “The Queen of the Night Aria”, which would make watching cell cultures incubate entertaining. During the most intense scenes, a jarring shriek escalates the action in an admirably unsubtle way. There are masterful lab horror films like The Fly and the less well-known Splice, and there are their deliciously preposterous cousins like I-Frankenstein. The Lazarus Effect falls somewhere in the middle. 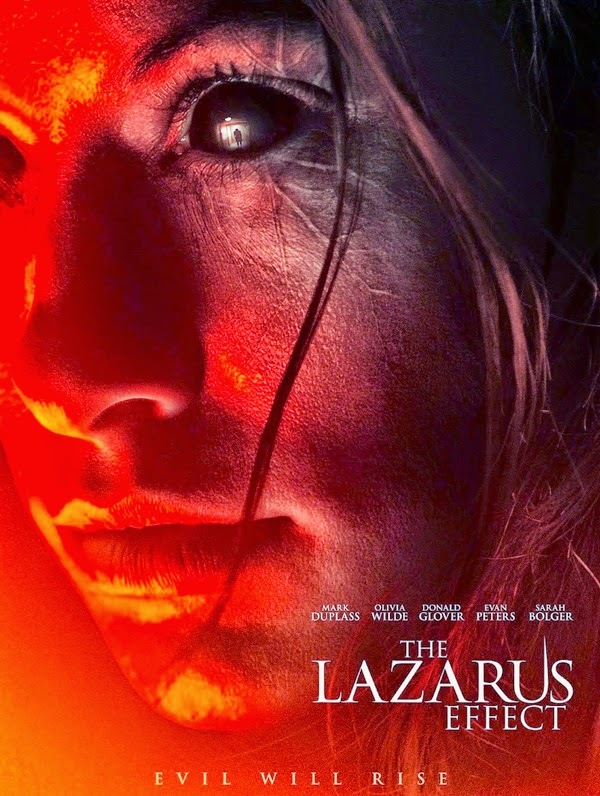 Though the trailer tries to connect it (by way of producer) to Insidious, The Purge, and Paranormal Activity, The Lazarus Effect is, by comparison, playing in the minor leagues. Still, many love to (and even prefer to) watch those minor leaguers. The critics blasted The Lazarus Effect with typical complaints: highly derivative, chaotic, an over-qualified cast wasted by an impatient plot. Even the general public has met it with a tepid response. Nevertheless, there are a few perhaps juvenile viewers who applaud this film, and I, fortunately, count myself among them. A stellar cast, interred amidst the stars. 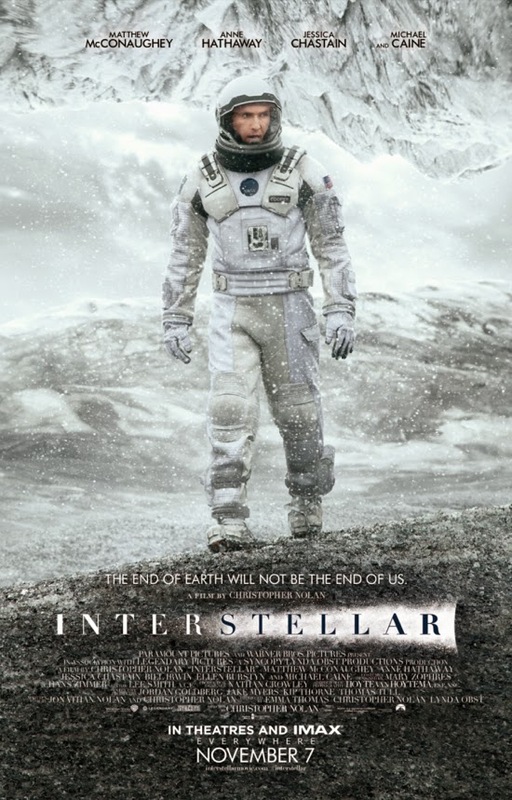 At almost three hours in length, Christopher Nolan’s epic SF film Interstellar falls roughly into three acts: humanity clinging to life on a dust-ridden, dying Earth; a last-ditch mission to seek out habitable planets through a wormhole in spacetime; and the consequences (small- as much as large-scale) of that mission going awry. Such is the broad progression of plot. In a critical sense, what plays out on screen is a compellingly envisaged scenario that compromises itself in favour of the box office and then descends further still into the warm glow of metaphysics. For all its cinematic excellence, this is the equivalent of Albert Einstein and his conceptual twin brother playing four-dimensional Monopoly and each contriving to make need of a specially tailored get-out-of-jail-free card. It is an engrossing spectacle, to be sure, but a somewhat unsatisfying comedown from what might have been. In terms of bringing the script to life, Matthew McConaughey leads an outstanding cast performance, the tone of which he sets in the first act alongside charismatic child actress Mackenzie Foy and an effortlessly world-weary John Lithgow. Interstellar is told through unaffected, very human characters, with Jessica Chastain and Casey Affleck adding a touch of despair to the grim faces of act two. Michael Caine does what he does, and Anne Hathaway is more Sandra Bullock than Barbarella in taking womankind into space. Even the NASA robots have real personality. The one blemish, it could be argued, is Matt Damon, whose name is to the cast list as the roiling, pestilent blight is to future Earth’s crops, hanging with Damoclean foreboding until his appearance in the third act signals the onset of the apocalypse. Damon is revived as the craven Dr Mann, a minor role in which he can be seen thumbing his nose at those who might question his acting range. Mann’s aura is intentionally jarring, his demeanour scripted to arouse our suspicions; let it be noted, then, that Damon can play an unconvincing character as convincingly as he can a convincing character unconvincingly. His injection into the storyline cuts the hair by which our belief was suspended, and triggers a cinematic cataclysm of untethered action/drama. Like Gravity before it, Interstellar strives for realism but comes to rely on a manipulation as overt as it is irreconcilable with the story being told. The state of play is signposted at any given moment by Hans Zimmer’s score, the excellence of which is difficult to judge because of its prescriptive and patronising, heavy-handed use of VOLUME. Whoever mixed the film has done Zimmer no favours; nor the actors, who at times have their lines drowned out entirely so that music may be used to prod the audience towards whatever emotional shearing shed Nolan has designated. This bombastic approach becomes more prevalent as the film progresses. By the time the supermassive black hole has selectively extended its gravitational pull to reel in any ship lifting off from Matt Damon’s planet (bypassing the influence of the sun around which that planet orbits), the soundtrack has gone berserk. The effect is not unlike that of an archetypal miscreant whistling in faux innocence to cover up a petty larceny, only in Interstellar’s case this has been amplified to decibels beyond the credulity horizon. Sometimes a writer will begin with a particular idea, only later to find that the framework they construct to present that notion comes to hold more interest than the premise itself. Given Interstellar’s unimpeachable first act and then the eyebrow-raising liberties taken by the second in reaching the incongruous fanfare of the third, it would be easy to assume this is what happened to Christopher Nolan. The truth, however, is somewhat less flattering. Nolan is credited as having co-written Interstellar with his brother Jonathan, but as it transpires their project was not a genuine collaboration. Jonathan in fact wrote an earlier script by himself, and it was the first third of this that was used as Interstellar’s opening, the remainder being binned so that Christopher had somewhere to affix his own, less grounded story idea. In filmmaking in general and Hollywood in particular, success and failure are relative terms, but whatever the perspective of verdict passed on Interstellar – glass one-third empty or one-third full – there should be little wonder that such a piecemeal, Frankensteinian approach has led to at least some measure of ruinous consequence. Interstellar is by no means a bad film; indeed, its positioning amidst the upper echelons of its cinematic peers might well suggest a manifest disproportion between criticism levelled and criticism warranted. But then again, with Christopher Nolan’s having set his sights on the stars, Interstellar surely could have been a masterpiece (and for an hour or so looked like being just that). The fact that it so poignantly loses its way is in a sense far more distressing than the abject floundering exhibited by its happy-go-hapless Hollywood fellows. Interstellar tantalises, but falls short: not with the high-octane bluster of Evel Knievel but rather the down-to-earth tragedy of a Cape Canaveral launch that, for all its meticulous planning and having just made a successful lift-off, inexplicably then jettisons the wrong rocket segments… and if, further to this, such a mishap should come to form the crux of a closed time loop, then let it be noted that cosmic contrivances are not in all contexts as interesting as Christopher Nolan might have thought. When E.T. phoned home, was he unwittingly calling through time and summoning himself to the rescue? Indeed, no – and let us all join together in extending one long, bony finger at the prospect of a mashup remake in which Drew Barrymore plays her own mother – but with such doomsday scenarios in mind, could it be that Nolan injected Interstellar with a weak dose of glitzy goose so as to immunise it against a fully-fledged bout of Tinseltown turkey later in life? Stranger things have been known to make themselves happen. The voice search shows up one weakness of the device; while working well, it only takes you to Amazon content, and much of that needs paying for. Unlike similar searches on the Xbox 360, results from apps like Netflix and the BBC iPlayer are not presented, and voice search does not work within those apps. That’s a limitation that soon stops being a bother, as you get to know the situations in which voice search is worth trying. It helps of course if you have Amazon content to search for. We began paying for Amazon Prime a few years ago to take the stress out of buying Christmas presents, and we would probably pay for it even without Prime Instant Video being included – but it is, and it is easily accessible on the Fire TV. People not paying for Prime will find the device much less useful, and will probably be irritated by its focus on Amazon video, but the selection is good, and getting better. Constantine may not be the classic we hoped for, but I’m glad we got to watch it each week on Prime, while the frequent Pilot Seasons of new shows are always a treat. It’s nice being able to watch episode one of a programme without feeling guilty about not watching the rest The selection of films is also good, though dig a bit and it still has the video store feel of the Lovefilm service it grew out of. Prime Music isn’t available in the UK, unfortunately, but people who buy their albums from Amazon will find many of them available in the Music section of the device. This, for me, has been one of the greatest things about the Fire TV. Aside from a brief dalliance with Play.com, I’ve bought nearly all my albums from Amazon since I began working at home, and two hundred and three of them are available here. It’s been by far my favourite way yet of bringing digital music into the living room. Playing an album can be as simple as searching for that artist with a voice search and then picking the album. Playlists can also be set up – we have one for each family member of their own albums, plus one for quiet reading – though that must be done elsewhere, such as a PC or the Amazon music app. One slight glitch is that the music stops playing when the television turns off, but that might be down to the settings on my TV. Games on the device have surprisingly good graphics, at perhaps the level of the Wii. However, there are limits: Grand Theft Auto: San Andreas, though very similar to the recent Xbox 360 re-release, requires most of its graphics sliders to be turned right down before it will run on the Fire TV – not to mention that its huge file size takes up so much of this device’s meagre space that it’s impractical to keep it on there for any significant length of time. Other games are mildly diverting, and tend to be cheap, but have the usual tendency of cheap app games to demand additional purchases and apply penalties to gameplay when they are not bought. Games can be played with the remote control, or with an optional games controller, which is a passable imitation of the 360’s. If I’m going to play games, I’m always going to turn on the 360 instead of this, but kids without consoles would appreciate the games. Game and other apps bought in the Amazon App Store for Android devices or the Kindle Fire become available at no extra cost here, where a version compatible with the Fire TV is available. Some apps are missing altogether, notably the BBC Radio Player, Now TV (reciprocally, Amazon Instant Video is unavailable on the Roku), Kindle and Audible. The last is presumably down to Audible being set up for downloads rather than streaming, but it was still a big disappointment. I’d hoped too for some kind of fun Kindle app – no one is going to read full novels on their television, but it’d be useful for family reading, exercise, and things like that. There is no Comixology app either – HD guided view on the TV would be great. NPR One and Spotify would also be good to have eventually. YouTube is on there, and how much our household uses it shows one of the strengths of the Fire TV, that it is so quick to turn on and use. The 360 and TiVo have YouTube access, but going through the rigmarole involved in starting those up to watch a five minute video isn’t worth the effort. With the Fire TV, watching the latest Jimmy Fallon, SNL or Jimmy Kimmel clips has become a very pleasant part of our daily routine. That the remote control doesn’t need to be pointed at the device itself just adds to the convenience. Any negatives other than those already mentioned? It lacks an on-off button, so crashes mean pulling out the power cord, Spectrum-style. For some reason, the film Tower Heist, having once been added to our watchlist, now refuses to be removed from it. And the option to remove a recommended film from display seems to only have a temporary effect. So let’s say, for the sake of argument, not from any personal experience or anything, that in a moment of weakness a fellow was to watch a certain kind of film from the seventies, its sleazy ilk would pop up in his recommendations over and over as if he were playing a game of whack-a-mole. The only solution is to watch enough wholesome items to take the recommendations in a less embarrassing direction. Another problem, but again one that may be down to my inexpert adjustment of settings, is that since buying the device our wifi router needs rebooting at least once a day. Whether this is down to the device, or just down to it encouraging us to stream much more video wirelessly than usual, is yet to be investigated. I have seen reports of other users having similar problems, relating to its screensaver streaming photographs from the Amazon Cloud.